It’s only a matter of weeks until the New Zealand Pipe Band Championships 2014 in Tauranga. I am very excited to be attending and Im really looking forward to hearing all of the bands competing. You will be glad to know that I have all of the drumming essentials here in stock to ensure that you get the very best sound. Snare Heads (for Pearl, Premier and Andante), Tenor and Bass Heads (for Pearl, Premier and Andante), Snare Wires (for Pearl, Premier and Andante), all sorts of snare drum sticks, a full selection of TyFry Tenor Mallets, tuning equipment and much more. Also I have some GREAT prices on all of these products. Many of our heads, sticks and accessories are the most competitively priced in the country. Please flick me an email (james@come2drum.com) if you would like any help or to chat about bulk pricing. Or you can pick up the phone if you want to have a chat about tuning! 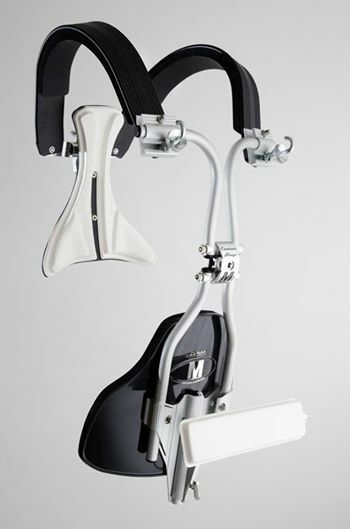 Also, the brand new Jim Kilpatrick Snare Drum Carrier has just arrived in the Southern Hemisphere – we are delighted to be stocking it. It’s simply the best! 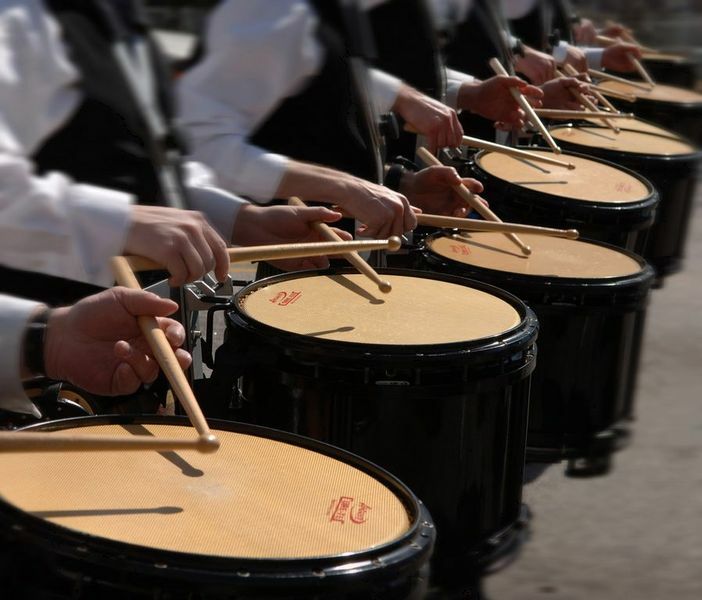 Pipe Band Drumming is no different to any other instrument, it requires practice, structure and guidance. Different people learn in different ways and at different speeds. However, I feel that beginners should be given the opportunity to develop the basics in an orderly and logical pattern. Too many students seem to go randomly from one rudiment to the next in an attempt to get onto their first, second or third drum score. During my travels around Australia and Canada (two geographically huge countries!) I encountered some interesting situations with rural scottish pipe bands, (not all of them might I add). The issue generally related to the number, or lack thereof, drummers. There seems to be a shortage of scottish snare drummers in the rural areas in these big countries. However, if you look at the major cities – pipe band drumming is thriving. This was not always the case – the majority of rural bands used to be vibrant and had huge numbers. However, things seem to be changing or at least going through a dry spell. It seems that pipe band drum corps’ nowadays need to be in the 7+ side drummers category as a minimum. Many of the city bands have upwards of 10 side drummers, 6 tenors and a Bass Drummer. Many of the pipe band members in these area’s talked of their frustration and concern. Many of them couldn’t compete as they didn’t have enough drummers – lots of the bands in rural areas have dis-banded in the past 15 years. The causes seem to be : Lack of interest in pipe band drumming in modern society, young people having “too many options” now, the big city bands attracting the young drummers when they leave small towns to attend University in the “big smoke”. Honestly, I have to agree with a lot of these reasons. But I certainly think there is a solution. I think the key is having a motivated and passionate drum tutor and pipe major. Scottish drumming is certainly thriving throughout the world – more so than ever, and the rural areas need be no different. The other key ingredient – structured learning with clear goals. Too many country bands are in a hurry to get drummers from learner level, to the drum and onto their first pipe band drum score. I hear horror stories all the time about drummers being expected to play the band’s march medley on a drum within 6 months of holding the sticks. Sometimes this is possible, with a little drummer genius – but in general, the first 6-12 months should be spent on rudiment development and perhaps grasping a basic tune. I understand that getting on the drum and playing tunes is the biggest motivation for the drummer, however, the instructor should make a point to reinforce the importance of the basics. 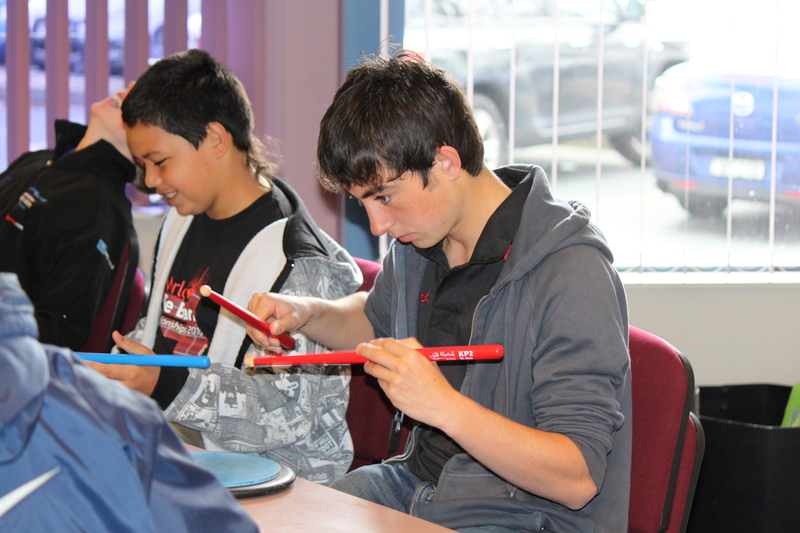 Making the rudiments fun, is key! Often playing them along to dance music can be enjoyable for learners . I personally use a check list for all of my learners right through to the point that they are competing in Grade 2. 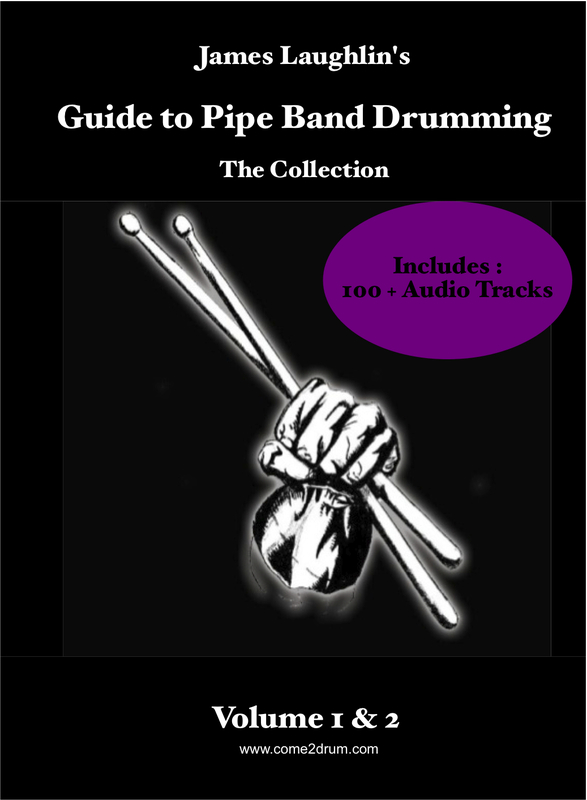 I use the Check List along with the Guide to Pipe Band drumming books, The Scottish Drumming Lessons (Video’s) and one-on-one pipe band drumming tuition. I really do hope that the rural bands in general, will thrive again and build back to where they used to be. There are some currently some FANTASTIC rural bands throughout Australia and Canada, and it would be fantastic to see many more flourish with healthy numbers. They are such a vital part of the Scottish Pipe Band community – long may they continue. Canterbury Caledonian won their first Grade 1 National Pipe Band Championships on Saturday in Tauranga, under sunny, hot skies. Auckland and District took the MSR on Ensemble preference, and the Canterbury Caledonian took the Medley. Canterbury also took the Grade 1 drumming prize, the Westpac and Kitto Cups for mid section and flourishing, and the street march. In Grade 2, Morrabin made a clean sweep of the contest – winning straight firsts. City of Invercargill settled for second, whilst St Andrews College – winners of the Juvenile event – took third. Grade 3 was won by Wynnum RSL, with South Canterbury and Canterbury Caledonian Royal Stewarts taking 2nd and third. Celtic Pipe Band from Stoke won Grade 4 A, and Otahahu Pipe Band took out 4B.